Dr. Marian Betz, a University of Colorado emergency medicine researcher, is studying how to counsel suicidal adults and their families on the best way to store their guns and reduce easy access. The two-year, $800,000 study, funded by the National Institute of Mental Health, will evaluate whether such decision-support aids reduce suicide gun deaths. Such federal grants to study gun violence and how to reduce it have been rare since 1996 when a law was enacted barring the Centers for Disease Control and Prevention from collecting data to advocate for gun control. Betz was able to get her grant only because in 2013, following the Sandy Hook Elementary School mass shooting in Connecticut, President Barack Obama restarted limited federal funding for such research. Now there's guarded hope for a bigger resumption of funding among gun violence researchers, who say there are many fundamental questions that must be answered before policymakers can craft effective, comprehensive strategies for reducing accidental injuries and deaths, suicides, and homicides by firearms. The researchers' model is the intensive research that led to huge public health advances in automobile and highway safety, smoking cessation and consumer product design. Their hopes have grown because, in the wake of the deadly Valentine's Day mass shooting at a Parkland, Fla., high school new HHS Secretary Alez Azar told a House committee said it was a "priority" for his agency to do research on the causes of these recurrent tragedies. He said the 1996 law doesn't bar gun violence research, only advocacy. "We're in the science business … so I will have our agency certainly working in this field, as they do across the broad spectrum of disease control and prevention," Azar said. Research advocates say Azar's statement, along with similar comments from House Judiciary Committee chairman Rep. Bob Goodlatte (R-Va.), means there's a chance the CDC and the National Institutes of Health will boost support for studies exploring the numerous unanswered questions about the causes of and cures for gun-related violence. But funding such studies likely would face opposition from the powerful National Rifle Association, whose lobbying led to the 1996 law. "It's the first statement by anyone in this administration that we need to get moving on the knowledge base from which to develop policy recommendations," said Alan Leshner, CEO of the American Association for the Advancement of Science, who chaired an Institute of Medicine and National Research Council panel in 2013 that identified top priorities for gun violence research. "There are a ton of things we don't know about." Public pressure is mounting on President Donald Trump, Congress, and state lawmakers around the country to take rapid policy action, such as banning the sale of assault rifles and large-capacity magazines, raising the legal age for gun purchases, and allowing temporary seizure of guns from people seen as immediate risks for violence. The NRA and most Republicans strongly oppose such measures. Trump and the NRA spent much of last week advocating for arming classroom teachers. But Leshner and other experts argue that lawmakers need more empirical evidence to develop effective methods of reducing the 33,000 gun-related deaths—nearly two-thirds of them suicides—and 79,000 injuries each year in the U.S. They believe it would take at least three years and tens of millions of dollars in research funding to produce actionable findings. They also argue that solid study findings could help build public support for policy action on the politically polarizing issue of gun control. "Good, unbiased research could bring our country together because it would identify ways to increase the safety of families, which is everyone's goal," said Dr. Megan Ranney, an associate professor of emergency medicine at Brown University. Ranney, the lead author of a 2017 report on priorities in gun violence prevention research, is launching a not-for-profit organization to fund such research. Still, she and other experts believe adequate research evidence already exists to support policy changes, such as stronger limits on letting people with criminal histories buy guns, tougher regulations against gun shops selling to criminals, closing loopholes in background check requirements, and promoting new technology to track guns used in shootings. While moving the research forward and waiting for the results, Leshner said, "in the interim, we should use what evidence we do have and get going on strengthening the evidence base." 1. Who buys, owns and uses guns, and for what purposes? 2. What are the potential risks and benefits of having a gun at home? 3. What knowledge, skills and behaviors are necessary for safe gun ownership? 4. Which specific population groups should healthcare providers ask about gun access, and how should providers ask the question? 5. When someone at high risk for suicide or other violence discloses gun access, what can healthcare providers to do reduce risk? 6. Are there effective ways to do early detection of alienation and anger that young people have toward their school? 7. What are the factors that influence the probability of gun violence in specific high-risk physical locations? 8. How effective in reducing violence are various interventions intended to diminish the illegal carrying of guns? 9. Do childhood education/prevention programs lower gun violence? 10. Does reducing criminals' access to legally purchased guns cut gun violence? 11. Does reducing access to guns by violence-prone individuals impact gun violence? 12. How are guns diverted from the legal market to the underground market, and how do criminals obtain these guns? 13. What are the effects of social media use and exposure to media and video game violence on the likelihood of gun violence? 14. How should healthcare providers counsel domestic violence victims who live in a home with a gun? 15. 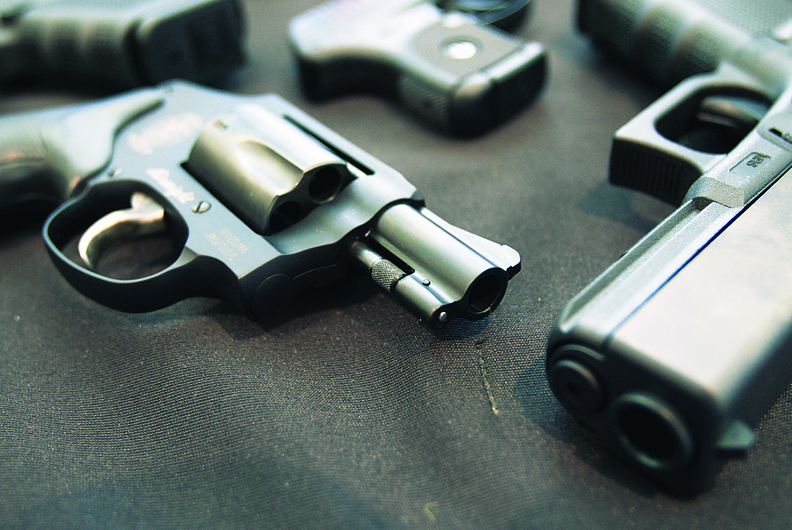 Do technological measures such as biometric trigger locks reduce gun injuries and deaths? 16. Would seemingly effective measures adopted by individual states, such as "red-flag" gun seizure laws, and by other countries, such as Australia's ban on assault rifles, be effective in the U.S. as a whole? 17. After a gun injury or death has occurred, what are the best ways to stop the cascade effect on the families and communities, including preventing copycat incidents, retaliations and post-traumatic stress disorder? While most of the current political and media attention has focused on the use of guns in mass shootings, experts say the bigger long-term issues are firearms-related accidents, suicides and individual homicides, for which research may offer solutions. In contrast, it may be difficult or impossible to identify in advance people who are at risk of committing mass violence. "It's naïve to think we're going to have a very high hit rate at predicting individual instances of explosive violence," Leshner said. Research also can help healthcare providers with what might on the surface seem like straightforward tasks such as working with suicidal patients and their families to keep the person away from a gun. The University of Colorado's Betz has found, however, that this is hardly simple. There are a variety of storage and locking options, which carry different costs and are subject to different state rules. Because of the complexity, emergency physicians and other ER staff who treat suicidal patients often send them home without counseling about gun storage options. Betz knows from personal experience with suicidal friends and family members that this can be a difficult issue to broach. Without addressing it, the outcome can be deadly. "It's like the designated driver situation," she said. "How can we help people at risk of suicide stay safe?" While researchers and healthcare professionals are clamoring for better data on how to keep communities and patients safer, some gun control advocates argue that successful models already exist at the state level and in other countries, and that the U.S. should simply adopt them without doing further research. Many point to Australia's 1996 ban on semi-automatic and assault-style guns, following a horrendous mass shooting that killed 35 people. Since then, in that nation of 24 million people, there has been only one multiple shooting incident, in which a university student using a handgun killed two people and injured five others at the school in 2002. Some experts caution that one country's experience can't necessarily be generalized to others because of differences in culture and other factors. "Other countries have taken actions that are appropriate for their countries," Ranney said. "The important thing for us is to look at what's feasible and effective in the context of our country and culture." Ranney said it's crucial to build gun violence reduction policies on empirical evidence rather than people's intuitions. "First do the science and see if something works," she said. "If it doesn't work, we shouldn't do it."